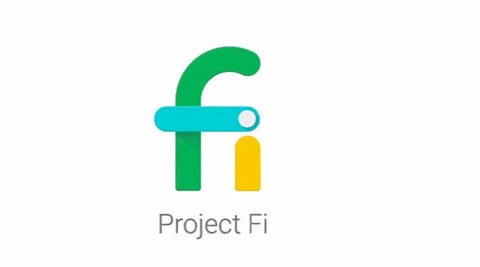 Google Project Fi is a low-cost wireless service we talked about previously. While it doesn’t get as much buzz as their Fiber Internet service, it offers consumers a potentially cheaper alternative to other wireless carriers. Some tech industry pundits feel Project Fi serves to disrupt the wireless world in a similar manner as Google Fiber itself. Project Fi may be a worthy wireless option for you. Logo copyright Google. News appeared this week in Fortune about Project Fi now offering unlimited data. Let’s train our eye on the details to see if Fi makes sense as your wireless service. Even without offering unlimited data, Project Fi provides customers with data policies unique to the industry. For example, users only pay for the actual data they use. In short, they receive a monthly credit for unused data. Their new unlimited data plan costs $60 per month. Customers keep the option for staying with their cheaper plan, with the unlimited data price kicking in once they reach that data threshold. One user pays $10 per gigabyte, so essentially they never pay more than that $60 per month no matter their data usage. For more details, check out the Google page explaining Project Fi’s plan pricing model. Plans for multiple users also exist. Families with six users pay no more than $180 for unlimited data. There is also a $20 monthly line fee no matter the number of users. For its part, Google calls their unlimited data plan, “Bill Protection.” It is essentially a policy transparent to the user. In short, you pay for the data you use – and only that data. One caveat to note: Google may throttle your download speed if using more than 15GB per line in one month. What about the Project Fi Wireless Speed? A Project Fi plan also includes international roaming with high-speed data at no additional cost. But how fast is the Internet speed when using Fi? Google partners with T-Mobile, Sprint, and U.S. Cellular, so expect similar 4G speeds as provided by those carriers’ networks. If you are interested in checking out Google Project Fi, chances are good coverage is available in your area. Once again, Google piggybacks on the networks of the three carriers mentioned earlier. A compatible device is another requirement. These include the Pixel, Android One Moto X4, Nexus 6P, Nexus 5X, and Nexus 6. Stay tuned to Bandwidth Place for additional news and insights from the telecommunications world.